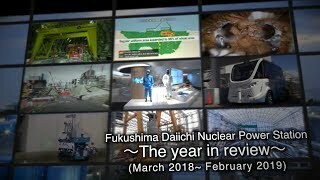 On January 31, the Tokyo Electric Power Co. (TEPCO) released a progress report on the decommissioning of its Fukushima Daiichi Nuclear Power Plants. TEPCO had planned to begin dismantling the joint exhaust stack for the Fukushima Daiichi-1 and -2 (BWRs) in March in anticipation of removing nuclear fuel from the spent fuel pool. Given the need for additional safety measures and drills to be conducted in readiness for any problems during operation, however, the beginning of dismantling has now been rescheduled for mid-May. The stack’s pillars are fractured and deformed at about the 66-meter mark, and the power company plans to remove the upper portion of the 120-meter-tall pillars—starting at a height of about 60 meters—to ensure seismic margins. In order to reduce the radiation exposure of workers, also, a series of mock-up tests have been conducted off-site, in Hirono Town, since August of last year. In that respect, he said, the mock-up tests would continue until the end of the current fiscal year (March 31) so as to avoid having to “start over again” once the on-site effort begins. In the next phase of a series of investigations of the inside of the Unit 2 primary containment vessel (PCV), scheduled for the latter half of this month, a new device will be deployed in preparation for removing the fuel debris. It incorporates mechanical “fingers” to touch and ascertain the nature (hardness and fragility) of the deposits found in January 2018 at the bottom of the pedestal (lower part of the reactor pressure vessel). In addition to checking for any changes since the previous investigation, it will gather such detailed information as the shape, surface condition, and state of adherence of the deposits so as to determine how to remove it. 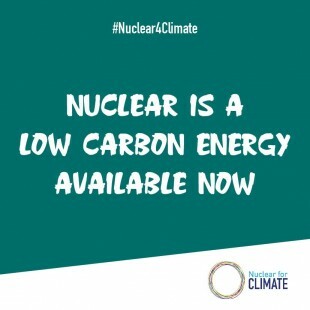 On January 31, also, the Agency for Natural Resources & Energy (ANRE), under Japan’s Ministry of Economy, Trade and Industry (METI), released the final report of a mission that took place in November 2018 by the International Atomic Energy Agency (IAEA) to review the decommissioning of Fukushima Daiichi. The report includes seventeen items of commendation, along with twenty-one other items on which advice was offered.